Maria S. Azzi: A Grand Tango. 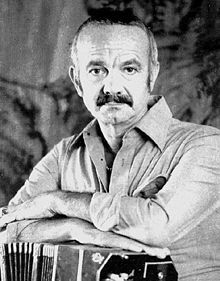 The Life and Music of Astor Piazzolla. University Press, Oxford, 2000, ISBN 0-19-512777-3. Christina und Martin Höfferer: "Der Schlangenbeschwörer. Astor Piazzolla" ORF Radiodokumentation 2013 (55 Minuten). Carlos G. Groppa, The tango in the United States, McFarland & Co., Jefferson, North Carolina i Londyn, 2004, ISBN 0-7864-1406-5 (rozdział 21 Piazzola: A Banedoneon Against the World). Astor Piazzolla, A manera de memorias (en omfattende samling intervjuer i form av en memoarbok), Libros Perfil 1998, ISBN 9500809206.